The newly released National Association of Realtors’ "Home Buyer and Seller Generational Trends Report 2015" finds that Millennials, also called Generation Y, made up the largest group of recent homebuyers for the second year in a row. Thirty-two percent of recent buyers were from that crew, born 1980 to 1995 and now age 35 to 20. They made up 68 percent of first-time buyers. Of all those Millennials, 90 percent bought their home through a real estate professional. HousingWire notes that Millennials "used an agent to purchase their home at a higher share than all other generations." After Millennials, the NAR report lists the next largest group of recent homebuyers as Younger and Older Boomers, age 51-68; followed by Generation X, 36-50; and then the Silent Generation, 69 and older. THE MILLENNIAL MUST-HAVE: What do home-buying Millennials want? A place to wash their clothes. 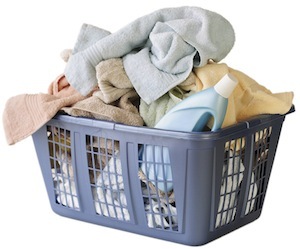 According to a recent survey by the National Association of Home Builders, 55 percent said they wouldn’t buy a new home that didn’t have a separate laundry room. Also on Millennials’ most-wanted list: storage, such as linen closets, walk-in pantries and garage space.